Hey gang! Travis here with a quick update about the Dragon Boat Races starting tomorrow. We have three paddlers from the Tampa Bay area who are racing for Team USA, so let&apos;s all wish them luck! 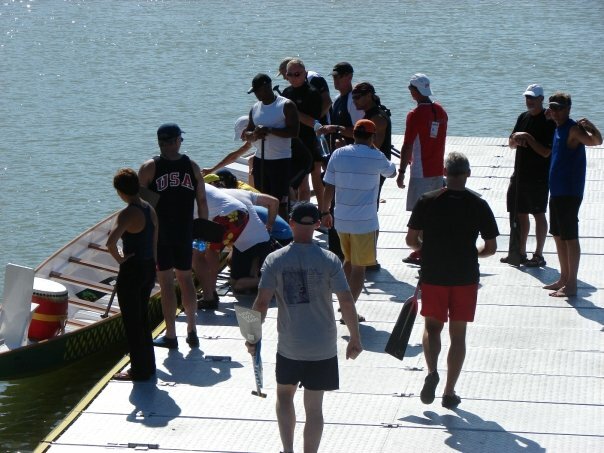 The 2000m races start each crew in 12 second intervals. Each team should take about 10 minutes each or so. The neat thing is there are 3 turns in a 2,000m race, because it is run on a 500m course. It makes for very interesting racing as often times there are multiple boats that go into the turns together. So there you have it...the lowdown and rundown of what&apos;s happening in tomorrow&apos;s races. If you want to check the results, you can head over to http://idbfworldchamps.com, as they will be posted there. Of course, we&apos;ll be brining you the day&apos;s results at the end of tomorrow, in case you can&apos;t get there earlier. Remember, they are 6 hours ahead of us, so they&apos;ll be racing when we are still sound asleep...that&apos;s if you are in Tampa Bay! So, stay tuned as we bring you more updates about team Tampa Bay in Prague. And as always, keep checking back for more great things to do in Tampa Bay and more Tampa Bay area events!